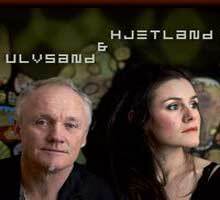 The Swedish Bouzouki player Jens Ulvsand and Danish/Norwegian singer Jullie Hjetland started playing together in 2008 in the successful group “KRYSS” and very quickly they found a partnership in there duo playing. They have a common flair for the Nordic sound and with a gentle touch of electronic elements, voice, bouzouki and other instruments, they create a wide spectre of atmosphere’s and soundscape’s. The duo have been playing several festivals/concerts and with there grounded knowledge of Nordic folk traditions and there own roots they put together traditional Scandinavian songs and traditional music with compositions of there own in a harmonic blend.